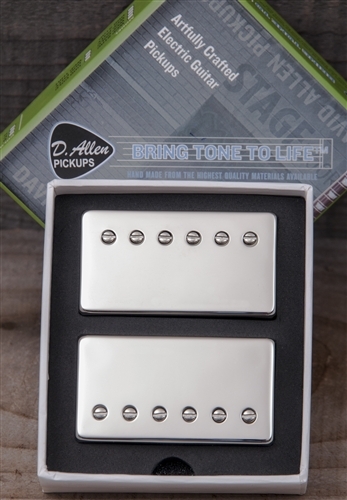 The HellCat set is made to ROCK with special alnico magnets and wire used on the bridge to retain highs and provide great note separation and response wound to 16.8k and the neck to 9.38k. This set will take OD extremely well and still provide the clarity to hear each string and every note. Billy Morisson (Guitarist for Billy Idol) "Dude they sound AMAZING!!! 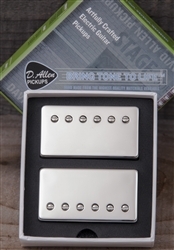 WOW - the bottom / lo mids are just SUPER tight and while they are SLIGHTLY less distorted than the JB/59’s combo the whole tone is so much more punchy and solid. LOVING them."